What could be the real cause of Gulf War Syndrome? On a personal note, I asked Kent if he got this vaccine when he was in the Marines. He said, “Probably, yeah I think so, they don't tell you what you're getting. They just line you up and shoot a whole bunch of vaccines in as you go down the line.” Thank God he must have had a strong immune system. Please share by clicking the social buttons below and help get the word out. Also see another terribly sad video here: One Day from Hell — Unbelievable Video of Vaccine Injured Michigan Triplets. If you haven't caught it yet, don't miss this: The Truth About Vaccines. Please share by clicking the social buttons below and help get the word out. Here's the transcript and story of the cause of Gulf War Syndrome — note that this is only partially cleaned up, YouTube's transcripts aren't very accurate. thank you for sharing my story,..
it was a honor to do so,. Please pray for the military daily. Hi Sherrie, how neat that you stopped by here, thank you for your courage. Very brave woman! Thankyou! I pray more and more will stand up and tell the truth and someday soon greed and evil will be totally exposed and soldiers, men women and children will be safe from Big Pharma and evil in high places! 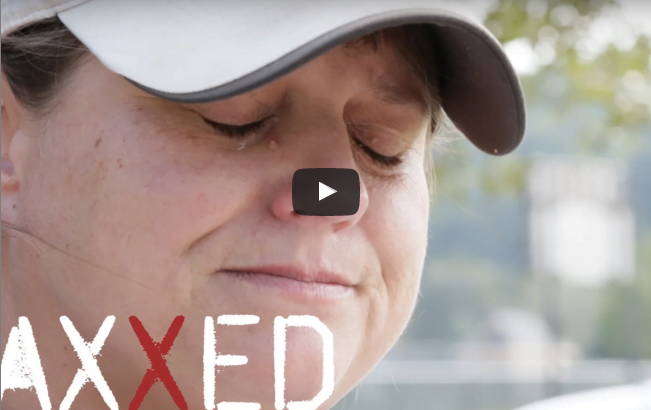 Saw this when it came out live on the Vaxxed page…..heart wrenching and very eye opening. (Sarah) Very grateful my man is out of the military!